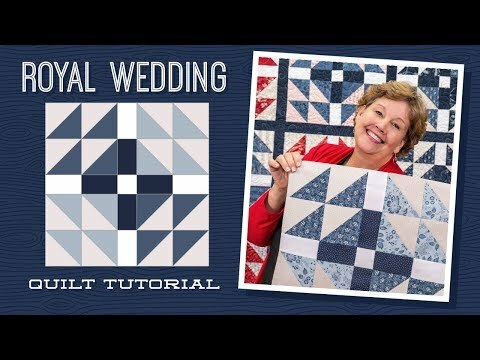 Royal Wedding Quilt Pattern by Missouri Star - Missouri Star Quilt Co. - Missouri Star Quilt Co. Weddings don’t get much grander than those held by the royals in England! Although we may not have gotten an invitation, we can still make a beautiful, traditional Single Wedding Ring quilt to make our abode just a bit fancier. All that’s needed is a package of your favorite 10” squares and a ½ yard of pretty white fabric to add pizazz!